Alpari Forex (India) Pvt. Ltd. is a 100% subsidiary of Alpari (UK), a leading global provider of online foreign exchange (FOREX, FX) trading services and is a part of The Alpari group of companies which is one of the fastest growing providers of online foreign exchange (“FOREX”, “FX”) trading services with 27 offices in 8 countries, including London, New York, Shanghai, Dubai, Moscow, Kiev and Almaty. With over 300 employees worldwide, more than 160 000 live accounts and monthly Forex trading volumes in excess of USD 80 billion, the group has experienced a tremendous growth since its inception. Alpari Limited was established in 2004 and is registered in the United Kingdom with its head office based in the City of London (Registration Number: 5284142). Alpari is authorised and regulated by the Financial Services Authority since 2006 (FSA Register Number 448002). Alpari (US) was established in 2006. Alpari (US) is located on Wall Street in New York, and is registered by the Commodity Futures Trading Commission (CFTC) as a Futures Commission Merchant (FCM) and is a member of the National Futures Association (NFA). Alpari China, in Shanghai, and Alpari Emirates, in Dubai, were established in 2008. Alpari Emirates is duly licensed by the Department of Economic Development, Dubai. Alpari’s mission is to deliver Institutional-Level Trading services to all its customers, whether they are institutional clients or individual retail investors, by providing innovative proprietary technology, low cost trading, regulation, safety of customers funds, comprehensive market research tools, advanced educational programs and world-class customer services. Alpari proudly aims to become not only the leading worldwide FX broker in terms of volume and number of accounts within two years, but also a global player by offering a large variety of financial instruments, as well as comprehensive money management services. Alpari offers Olnline Trading in Forex via MetaTrader 4 (MT4), one of the world’s most recognised Forex trading platforms for stability and reliability. MT4 is highly regarded and very popular among traders as they enjoy a variety of useful features including Expert Advisors and custom indicators, a complete technical analysis package, professional charting tools and quotes history for back testing. MT4 was developed by MetaQuotes Software Corporation in 2000 and, from the earliest days, enhanced by Alpari with a number of proprietary plug-ins and add-ons. Growing from the domestic to the global Retail Forex market dominance thanks to its superior Technical Analysis Package, Alpari’s MT4 currently enables automatic hedging, floating leverage, faster execution and superior reliability. In the context of today’s FX market, Alpari has implemented a prime brokerage model in order to deliver a high quality, efficient and low cost trading service for all its clients. With a combination of Straight Through Processing (STP), Non Dealing Desk (NDD), and stable high quality price feeds from the largest financial institutions, Alpari is able to pass on the efficiencies and low cost execution, usually reserved for banks and corporations, to all clients. Alpari also provides the Online Trading community with free access to all the educational (alpari.academy) and trading tools (alpari.research) they need to deal in today’s fast moving financial market place. Alpari Academy, Alpari’s new offering is two-pronged: Comprehensive video tutorials and webinars, provided by Learning Markets, an impartial provider of high quality online educational information which will be freely available for the whole online trading community. This online material will be supplemented by traditional, institutional-level seminars that are hosted by Schneider Trading Associates (STA), an industry leading global trading facilitation company, authorised and regulated by the Financial Services Authority. By offering these institutional-level educational and market research services, Alpari is more than ever able to ensure that its clients have an informed and responsible online FX trading experience. The Alpari Group has placed a strong emphasis on regulations compliance to ensure a high level of client protection. Alpari was established in Russia, where it was a founding member of the Financial Regulations Agency (KROUFR). Alpari is authorised and regulated by the Financial Services Authority since 2006 (FSA Register Number 448002). Alpari’s status as an FSA regulated firm means that the company’s clients can make a claim from the Financial Services Compensation Scheme (FSCS) in the event that Alpari is unable to meet financial obligations (visit www.fscs.org.uk for more information). Alpari customers are further protected, with the first USD 5,000 of each customer’s funds held in a segregated account. Alpari (US) is registered by the US Commodity Futures Trading Commission (CFTC) as a Futures Commission Merchant (FCM) and is a member of the National Futures Association (NFA). Alpari Emirates is duly licensed by the Department of Economic Development, Dubai. Alpari Forex (India) Pvt. Ltd.
Alpari Forex (India) Pvt. Ltd. was formed to promote Forex-trading capability to Indian retail and institutional customers. Individual Indian traders, fund managers and institutional customers will benefit from innovative and proprietary currency-trading technology combined with quality execution, competitive spreads, margins and expert and responsive customer support from our highly professional teams. Alpari Forex (India) Pvt. Ltd. is a company formed under the Indian Companies Act, 1956. Alpari Forex (India) Pvt. Ltd will be conducting and offering marketing, sales, client services and compliance services in India on behalf of Alpari (UK). All accounts are opened directly with Alpari (UK), which is authorised and regulated by the Financial Services Authority in the UK. Alpari Forex (India) Pvt. Ltd is responsible for new-client acquisition in India and have membership of National Stock Exchange (NSE), the MCX Stock Exchange (MCX-SX)and the United Stock Exchange (USE) to offer currency derivatives trading to Indian clients. Commodity options are a good way to build an investment but it is risky. You have to be careful and you have to be willing to really put yourself on the line. The foreign exchange market, or FOREX market, is in the immaterial world of ZEROS and ONES which are flowing over the Web between millions of computers twenty four hours a day; five days a week. 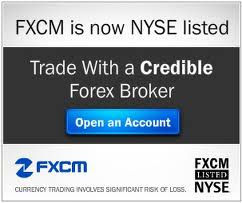 ECN Forex Trading | Multiple Forex Platforms - True ECN Forex Broker environment. Trade an ECN Forex Account & Benefit from Low Interbank Spreads | Capital One Forex. A 50% of the amount deposited by the client will be given to the client in the form of real money, the 50% bonus cannot be withdrawn by the client only profits generated from the bonus will be available for withdraw. The first reason to use Zulu4me’s ranking is because it is free. You do not have to pay to use our ranking, you just need to create a Demo Account in Zulutrade through us. This way, you do not need to study more than 20.000 traders, you just need to study 20 or 30 traders. Finally, if even knowing that a personal assistant will help you, you are still not sure about Zulu4me advantages, you should continue reading this post. If you'll abdomen somewhat of a tough packaging, you will find variety of free Forex seminar schedules on-line that may enable you to move with some consultants within the field,for more information click here World Business and finance news. eToro is the #1 forex broker for beginner and pro traders. The FIRST mystery to profiting in the Forex markets is seeing how to make edges function to support you rather than your burden. Fx Lifestyles million dollar forex trading strategy foreign exchange Great tips and very easy to understand. This will definitely be very useful for me when I get a chance to start my blog. There are numerous kinds of currency usd to aud converters on the web. The sorts vary by their proposed purposes and the data they give.